Xiaomi Mi A2 is the latest and one of the most anticipated Android One smartphone of 2018. After the success of Mi A1, the Chinese smartphone giant has launched two new variants of the phone. One is the Xiaomi Mi A2 with many storage and RAM options. Whereas, the other is Mi A2 Lite. It comes with latest Snapdragon 660 SOC, up to 6 GB RAM, optional 128 GB storage, and one of the best camera modules found in a mid-range phone. So here are the latest Mi A2/A2 Lite wallpapers, Launcher, ringtones, latest OTA updates and much more. The Xiaomi Mi A2 is an Android One device and comes with 8.1 Oreo out of the box. It will soon get Android P support. Here you will find all the downloads available for Xiaomi Mi A2 and A2 Lite including stock Wallpapers, Launcher APK, full OTA Update zip, Fastboot ROMS, TWRP Recovery, Ringtones, stock apps, stock firmware and much more. We will keep updating this post. So stay tuned. We already have the latest MIUI 10 ROMS available for download for various Xiaomi devices. Following are the Full HD stock wallpapers from the Xiaomi Mi A2 and A2 Lite. The first two are the built-in stock wallpapers. They do not weigh much just about 4 MB to 5 MB per file. We have also included some special edition wallpapers. However, their size is much more about 90 MB per part. Following are some special edition wallpapers for you. It is optional to download. The Xiaomi MI A2 Launcher has been directly extracted from the Xiaomi Mi A2 system dump listed below. The APK may or may not work with other Xiaomi devices. As it is system app, it is exclusive to the Mi A2. You cna still try it on your Xiaomi device. If the above doesn’t work, you may also try the Google Pixel 2 launcher or the Android P launcher. Audio files from the devices are listed below. All the audio files, notification sounds, ringtones, and UI Sounds are listed below. All you need to do is simply download and transfer the files to your Android device storage. Thanks to developer Jasmine, the first unofficial build of TWRP recovery has been compiled for the Xiaomi Mi A2. So now you can easily root Mi A2 device on the latest Android One 8.1 Oreo ROM. You can flash the latest Magisk via TWRP recovery and gain root privileges. Detailed tutorial: Installing TWRP recovery and root Xiaomi Mi A2 and A2 Lite. Download this TWRP to PC. Reboot Mi A2 to Fastboot Mode. Reboot into TWRP recovery by press and hold Volume Up to boot. Activate Slot A at TWRP Reboot Menu. Unfortunately, the Xiaomi Mi A2 Lite still haven’t received TWRP recovery. But do not worry. The latest official TWRP build will soon be posted here released for both – the Mi A2 and A2 Lite. The Fastboot ROMS can be useful if you ever brick your device. It can also be used if you want to restore to stock firmware on you Mi A2 device from a custom ROM such as Lineage OS. The latest firmware build number is V9.6.9.0.ODIMIFE based on Android 8.1.0 Oreo. System dump can be useful for development purposes. The latest firmware build number is V9.6.4.0.ODLMIFF based on Android 8.1.0 Oreo. System dump is for development purposes. The Mi A2 device are already receiving the latest August 2018 Security Patch OTA updates. Download OTA zips from below. Download Xiaomi Mi A2 and A2 Lite stock Wallpapers, Launcher APK, full OTA Update zip, Fastboot ROMS, TWRP Recovery, Ringtones, stock apps, stock firmware. 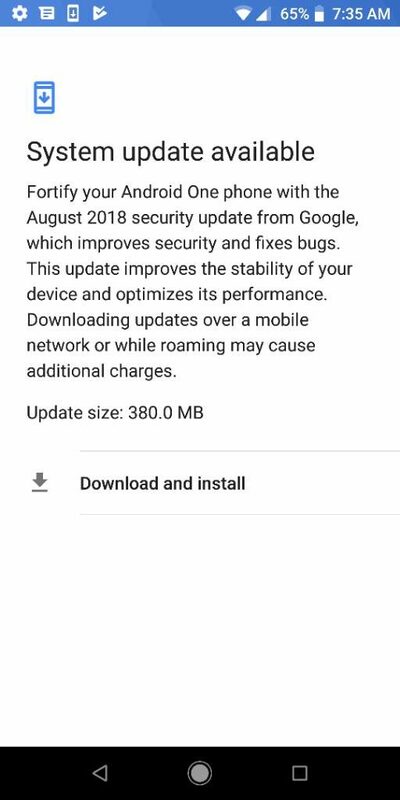 Previous Entry Samsung rolling out August 2018 Android Security Patch right now!